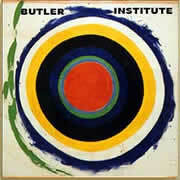 Silk screen painting of "Avanti Cars." 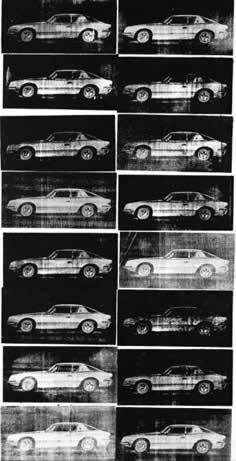 A close-up of one of the Avanti images in "Avanti Cars" by Andy Warhol. 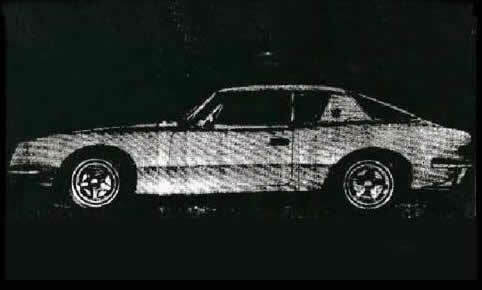 Unsigned 1962 Avanti sketch attributed to artist Andy Warhol. 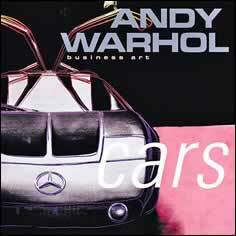 Book cover for "Cars" showing Mercedes with "gull wing" doors.